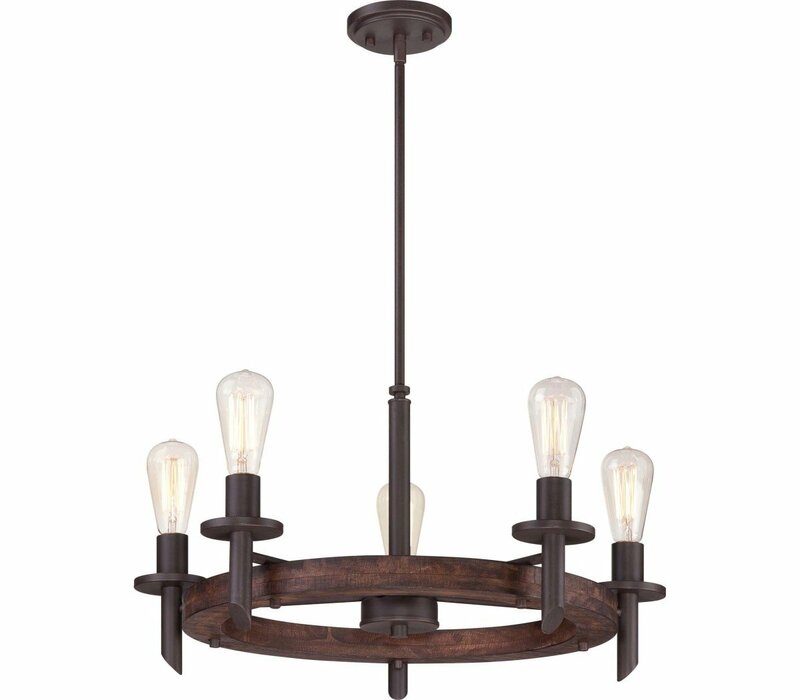 Extra 15% Off Most Quoizel Lighting Plus Free Shipping! Use QUOED19 In Cart. From the days of saloons Tavern is a nod to the past. Featuring vintage bulbs it shows that the design is in the details. 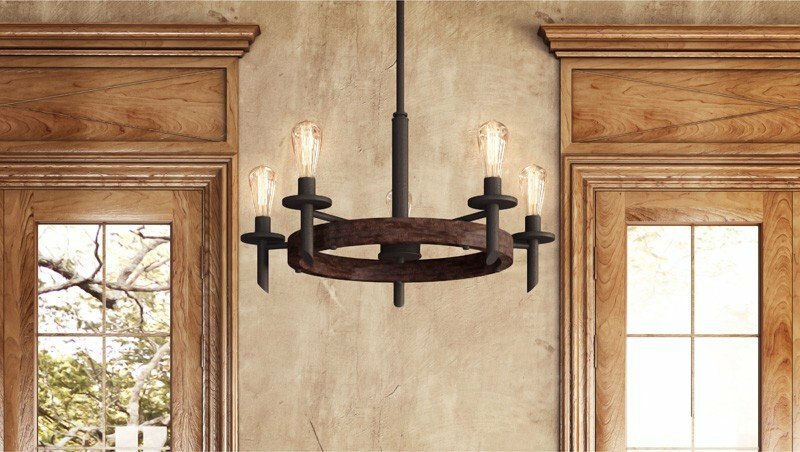 The rich rubber wood a 100 recycled material complements the Darkest Bronze finish and enhances the timeless look of this collection. 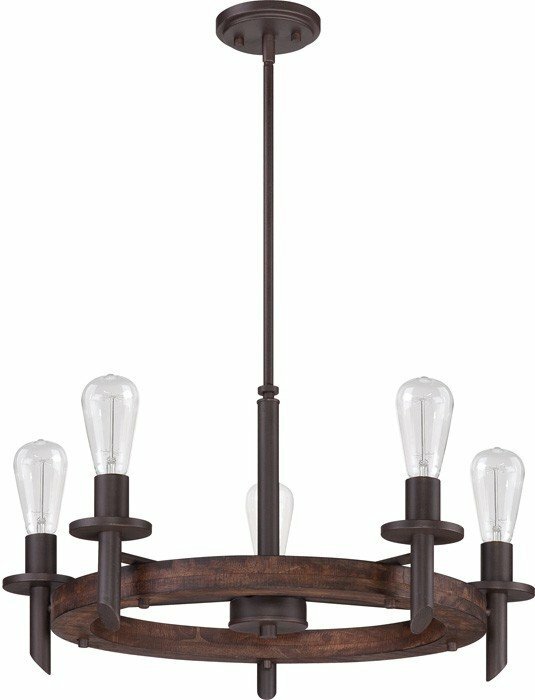 The Quoizel TVN5005DK Tavern collection Chandelier Lighting in Darkest Bronze uses Incandescent light output and brings Traditional style. 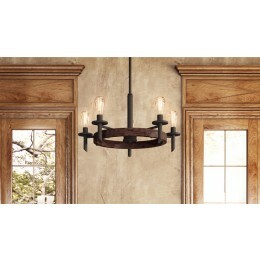 This item is 13"H x 26"W x 26"L. The wattage is 100. 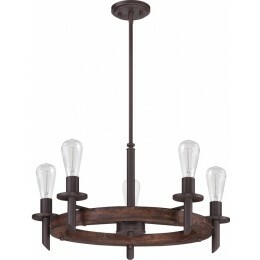 The Quoizel Lighting TVN5005DK requires 5 bulbs (included).